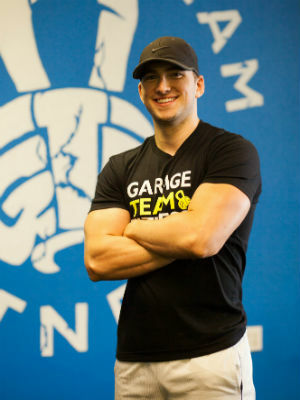 Garage Team Fitness first started out in an apartment garage in 2014, then expanded to a 4000 Sq ft facility located in Watauga TX. We welcome everyone of all fitness levels into our gym! You can be a rookie, or an experienced fitness enthusiast. Our mission here at GTF is to help you reach your transformation goal. We are here to get the results YOU want. We aren’t a gym where you come in and work out just to do it by yourself, we have you workout here to make sure you become a better you, that’s what we strive for. Our coaches give you the motivation and drive that you need, and sometimes catch you off guard with a good joke or two when you think you can’t do another rep! We know if you don’t have fun and enjoy the training, you won’t do it! Our programs specialize in fat burning, and resistance training for toned muscles to boost your metabolism. 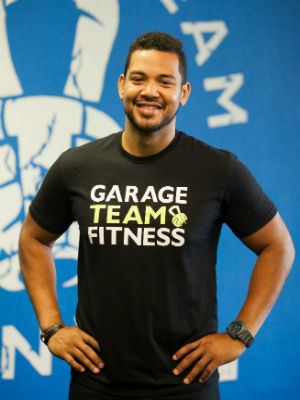 Garage Team Fitness varies the workouts to help our clients achieve the results and make sure they don’t hit that dreaded plateau. If you’re looking for that team, family atmosphere that helps you stay motivated to become the best version of yourself, you found it. I was an athlete in high school so I always enjoyed working out. My mom passed away from diabetes when I was young, so getting people into a healthy state was a personal goal of mine. I saw the effect it had when people got healthy and got off medication. I saw an opportunity to make a bigger impact on peoples lives. Which is why I started GTF in a garage at our apartment, and it grew into something bigger. I wanted to be able to have something that showed a team sport environment, where people had common goals and drive to better themselves, but also building a community to help one another reach those goals. A family that people choose to be a part of. I first became a part of the GTF Family in 2015. I loved the place so much that I had a hard time ripping myself away. I saw something within the business that had me inspired and driving me to want to be a part of its growth. I wanted to help others achieve their goals the way I was helped achieving mine which is why, without hesitation, in 2018 I became an official part of the G-Team. 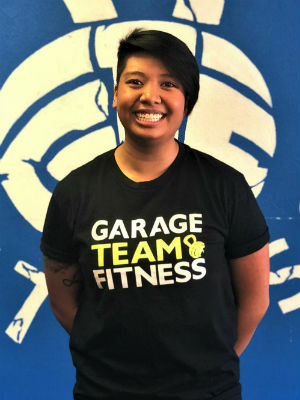 I started training at GTF in March of 2018 and fell in love with the atmosphere of the gym. I’ve always enjoyed working out on my own and still do, but I also enjoy the family I acquired while being here. I loved it so much I decided to join the official G-Team! I found a deep passion in working out which I thought I already had, but then I found an even greater passion in helping people and being the bright face they see as they walk in! I love seeing everyone excelling in their fitness goals and accomplishing things that they didn’t think they could do. Being a part of their day even if it’s only for the 30 minutes, is the highlight of mine. What’s up, this is Coach Austin “AG8”! The reason I joined GTF is because I love to help people reach goals they thought were never attainable. I love to workout, watch and play sports (Hook EM Horns! ), go to church and spend time with family and friends. My ultimate goal is to become a firefighter because I want to help as many people I can and make an impact in this world. By the way, Wednesday is my favorite day here at GTF, be ready to be in the RED! We don’t call it Red Wednesday for nothing.